What Can You Expect To Pay For Spring Break Airfares This Year? 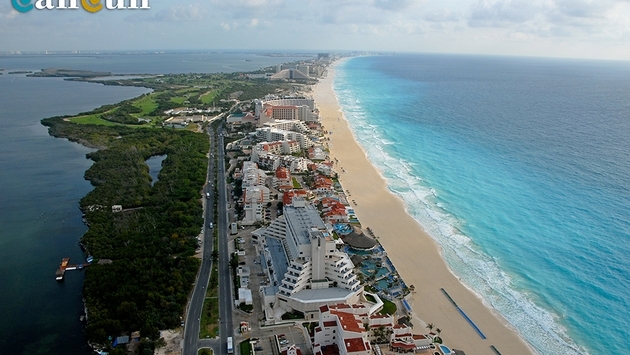 PHOTO: The beaches of Cancun, Mexico are a popular destination for spring break. South Florida? Orlando? Cancun? Lake Havasu? Las Vegas? It’s Spring Break time over the next month or so at thousands of colleges and high schools across the country, which means hundreds of thousands of students will be deciding where to spend that memorable week that will be talked about for years to come. But just about wherever they go this spring – and wherever they go there from – the cost of the plane ticket will increase over last year, according to two different reports. A Travelocity.com survey shows airfare prices are up 14.7 percent for the Spring Break period (traditionally March 1 to April 15). Travelocity Senior Editor Courtney Scott said spring breakers are going to have to get creative this year. "Travelers should try to travel on off-peak days, bundle flight and hotel bookings into vacation packages and search flights in surrounding airports,” she said. And that might be the key right there – finding the best airport to fly out of and the best time. Another online travel service, Hopper.com, found that the weeks of March 16 and March 23 will be the most expensive for spring break airfares, Traveling during those weeks could add up to 34% onto an average ticket price. Fly.com reports the average roundtrip airfares for many popular spring break destinations dropped in price compared with 2013. However, travelers flying out of Boston and Columbus, Ohio for instance can expect to see an overall 1-to-2 percent price increase to destinations from their city. The largest fare hike was 39 percent from Boston to San Juan, Puerto Rico, where the average roundtrip flight costs $406 this spring. 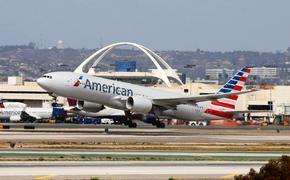 On the flip side, while some routes decreased in price by as much as 66 percent (Philadelphia to Dallas), the No. 1 spring break destination for seven of the eight college towns analyzed, respectively, was not the cheapest flight route available. The top destinations also failed to experience the biggest year-on-year price drop. "Students and families need to make smart, informed decisions if they want to save money on airfare this spring," said Warren Chang, vice president and general manager, Fly.com. "Sticking with last year's destination may not add up. On the East Coast, we are seeing tremendous value from destinations like Las Vegas, Cancun and West Palm Beach and, for West Coast travelers, flights to Hawaii are trending significantly lower than last year." Fly.com used data collected from more than 4.75 million user searches and extracted domestic and international flights with travel dates between March 1 – April 6, 2014, for major college towns in California, Massachusetts, Michigan, New York, Ohio, Pennsylvania and Washington, D.C.